A local man has been jailed for a total of 16 months for his involvement in the sale of stolen bicycles. 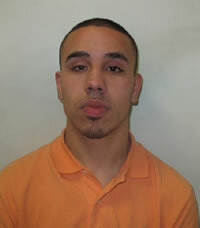 20 year old Tariq Hasi (pictured right) was sentenced at Isleworth Crown Court after pleading guilty to money laundering between 13 September 2010 and 25 March 2011. He was also sentenced to three months imprisonment for three additional fraud offences, which will run concurrently. This sentence follows an extensive financial investigation by detectives from the joint Metropolitan Police Service's and Transport for London's (TfL) Safer Transport Command (STC) Payback Unit and the TfL-funded Cycle Task Force, after identifying Hasi as being involved in the sale of stolen bicycles. The STC Payback Unit began their investigation after officers identified Hasi, who was known to police for bike theft, selling stolen bikes online. He was arrested by officers from the Cycle Task Force in possession of 10 bicycles on 13 September 2010. Five of the bikes were confirmed as stolen and returned to their owners. Hasi attempted to convince the officers that he was the legitimate owner by producing a receipt for one of the bikes, which was later proved to be fake. He pleaded not guilty to money laundering contrary to Section 329 of the Proceeds of Crime Act 2002 (possession of criminal property) and a trial was set for May 2011. On 23 March 2011, whilst Hasi was on bail, officers from the Payback Unit searched Hasi's home address, after they identified further bikes being sold online. They found two stolen bikes, a forged receipt as well as stolen identity documents including foreign passports. Hasi was not at the address at the time. The following day Hasi was arrested, and officers carried out a second search and found an additional two brand new boxed Brompton Bikes, which had been stolen from the Brompton factory in Brentford the previous week. Hasi was charged with conspiracy to launder criminal property (concealing, disguising or converting criminal property) and possession of false/ improperly obtained identity documents belonging to another. He was remanded in custody on 26 March 2011 at City of Westminster Magistrates' Court to appear at Isleworth Crown Court where both cases were linked. During their investigations, officers recovered ten bicycles in total that were stolen, which have all since been restored to their rightful owners. One of the bikes, a Giant SCR, had been sold by Hasi for £550. This has now been restored to its rightful owner. Chief Superintendent Sultan Taylor, Safer Transport Command, said: "Criminals need to be aware that we do not simply stop at recovering the bikes but will seek to have court orders imposed, seizing both financial and physical assets gained through criminality. This sentence and impending confiscation hearing demonstrates our commitment to tackling cycle theft in the capital." Siwan Hayward, Deputy Director for Community Safety Enforcement and Policing at TfL, said: "Hasi's actions affected a number of people and we're very pleased he's been given a sentence that reflects the seriousness of his crimes. The STC Payback Unit and the Cycle Task Force do some fantastic work and we will continue to work with the Metropolitan Police to tackle cycle thefts in the Capital." - Always inspect a bike thoroughly before placing an offer, and if you're not an expert, ask a knowledgeable friend for help. - Does the bike have its original paintwork or has the frame number been tampered with? Thieves alter the appearance of bikes, to disguise it from the legitimate owner. - Check how much the seller knows about the bike. - Check to see if it has been property marked. - Meet the buyer at a fixed home or work address. Be wary of meeting buyers in a public place.